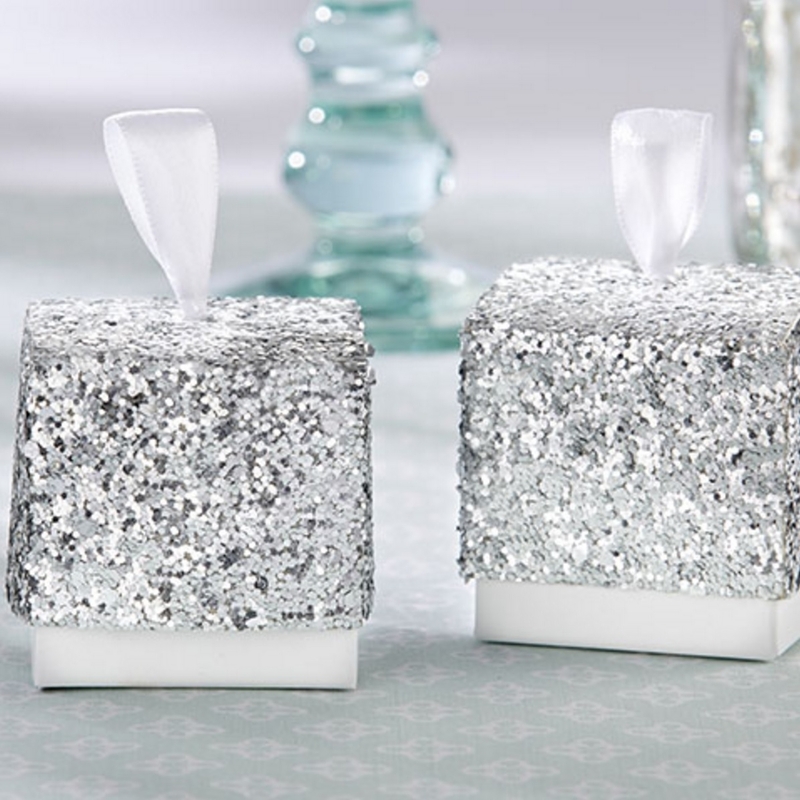 Favor box is made out of card stock with a shimmering metallic glitter top and a white satin ribbon pull. They are sold in sets of 24. They each measure 2.15' in. in height and 2 in. in width. Some easy assembly is required. Everyone loves favors. Fill these glittery silver favor boxes up with goodies such as candy or stickers or an assortment of both and gift them to your guests to show your appreciation for their support and blessings. Weddings are a joyful celebration and the joy is not only exclusive to the bride and groom. Sure they get to be the VIP for the day, but the happiness is for everyone to share. When everyone gets a treat, more blessings will be headed your way.